BELLEVUE, WA--(Marketwired - November 14, 2016) - RedCloud Consulting, a Bellevue-based boutique management-consulting firm, announced the hiring of Practice Director Corey Artherholt to lead the firm's expansion into key service areas related to the analysis and strategy behind customer intelligence and customer experience. 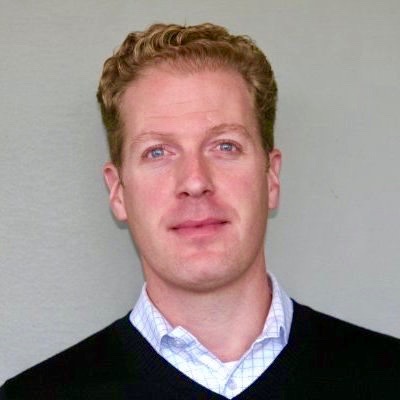 With deep experience across all levels of consulting, as well as the IT and healthcare industries, Corey Artherholt is an expert in the strategy, operations and analysis of customer and partner information. "Corey has built industry leading systems enabling businesses to listen to, interpret and act on the needs of customers," said Brett Alston, Managing Partner at RedCloud. "More than ever these are the skills and expertise that our clients need to ensure their products are exceeding their customer's expectations. We're excited to see Corey help us expand our offerings and support our client's continued success." Artherholt began his career with consulting firms KPMG and PricewaterhouseCoopers where he led corporate tax initiatives and served as a consultant for PwC's forensic accounting and litigation support practice. Corey then spent 10 years at Microsoft helping to establish the company's voice-of-customer, customer experience and industry-leading influencer programs. During this time he also served as an internal consultant and advisor within the company's finance division, leading critical projects and initiatives that impacted Microsoft's bottom line. Artherholt then went on to lead the voice-of-customer program at health care insurance provider Premera, building capabilities to simultaneously listen to thousands of diverse members and partners. Most recently, he worked at a regional boutique consulting firm, serving as Director of Strategic Initiatives and Director of Service Delivery, leading a 100 person, best-in-class service delivery practice with $10M+ of annual revenue. "RedCloud's commitment to customers, partners and team members sets it apart in a busy industry. Through a precedent set down by the firm's leadership, RedCloud invests in its people, takes an active interest in their careers and supports their success," said Artherholt. "Additionally, the ability to grow RedCloud's presence within today's customer intelligence and experience industry is one I could not pass up." In 2016 RedCloud has been recognized as the nation's fastest growing firm by Consulting magazine, placed on the Inc. 5000 list of the nation's fastest growing private companies, as the 5th fastest growing company in the Seattle region by the Puget Sound Business Journal and as Washington State's top mid-sized company to work for by Seattle Business Magazine. The firm's transparent and integrity based approach is the foundation of these recognitions, fulfilling the RedCloud's joint purpose of client enablement and helping employees realizes their full potential. "RedCloud's rapid growth and how the firm is growing was an attractor for me," continued Artherholt. "This is a burgeoning company evolving with purpose, maintaining its commitments to its customers and its consultants, while holding itself to the highest standards of respect and excellence." Building on a 20 year legacy, RedCloud re-launched in 2015 with a focus on management consulting to service clients based on a set of best practices learned by Managing Partners Brett Alston and Brett Clifton in their time within the industry. RedCloud's founding principles of integrity and transparency guide the firm's expansion within the Seattle marketplace, ensuring that clients receive top value, reliability and service from their consultants. Founded in 1995, RedCloud is a boutique Management Consulting firm based in Bellevue, WA that empowers businesses to realize their potential and reach peak performance, founded on key principles of integrity and transparency. RedCloud executes projects with a complete and unwavering focus on accountability, dependability and results. We are able to achieve this by providing a broad array of both Business and IT Consulting in addition to staffing solutions to Enterprise clients. RedCloud's professional services include Customer/Partner Engagement, Delivery Excellence, Business Transformation, Data Management and Analytics, and Managed Services. Learn more at: redcloudconsulting.com, or by following RedCloud on Twitter: @RedCloudConsult. Specialist in the strategy and analysis behind the customer experience to lead new practice at rapidly growing firm.